The largest city in New England, Boston is most notable for its rich historic heritage and deep investment in the arts with world class museums and theatres, even boasting its own symphony orchestra and ballet company. Set on scenic Boston Harbor and ringed by an Olmstead-designed park system, the Emerald Necklace, there are broad and diverse opportunities for outdoor pursuits as well. Hosting some of the world’s finest hospitals and academic institutions brings an international and multicultural flavor to its midst. 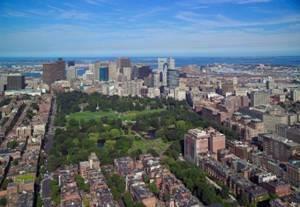 Additionally, Boston is long on entertainment with a myriad of choices for live music, shopping and fine dining. Of course, there’s never been a more exciting time for the sports minded with the World Champion Boston Red Sox, Bruins, Celtics and New England Patriots. Boston is truly a city of neighborhoods, each with its own personality and unique cultural undertones.